Zynga says delayed game launches and disappointing reception of existing games are the reasons it is lowering its revenue expectations for the remainder of 2012. Reaction to the announcement that the company will come in anywhere between $90 to $105 million short has investors scurrying. 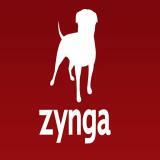 In a press release, Zynga stated that the 3rd quarter continued to be a challenging one. It also reiterated its intention to continue to invest where it maintains a legitimate stronghold–the mobile sector. In a blog post to the company, Mark Pincus, Zynga’s founder and CEO, added additional detail to Zynga’s Wall Street reforecast. While that may be true, Zynga is taking a risk in hoping that all of its eggs are in the right game’s basket. It seems Zynga’s future will depend on the success or failure of what they hope is the “next big game”. According to a BusinessInsider article, Mark Pincus has less than a year to turn Zynga around. Mark Pincus, Zynga’s founder and CEO, holds just over 50% of the voting shares. While he may not be chomping at the bit to sell his company right now, analysts and shareholders may recommend he start fielding offers if the company can’t deliver positive results. However, since the company currently has solid cash flow, it still has some fight left in it. The question, states the BusinessInsider article, is this: How long can Zynga hold onto its most valuable asset–its high-profile talent–if it continues to tank revenue?